A number of famous faces took the opportunity to catch Jennifer Lopez‘s final performance as part of her residency at the Planet Hollywood Hotel and Casino on Saturday. The latest showcase of ‘Jennifer Lopez: All I Have’ was, of course, sold out. 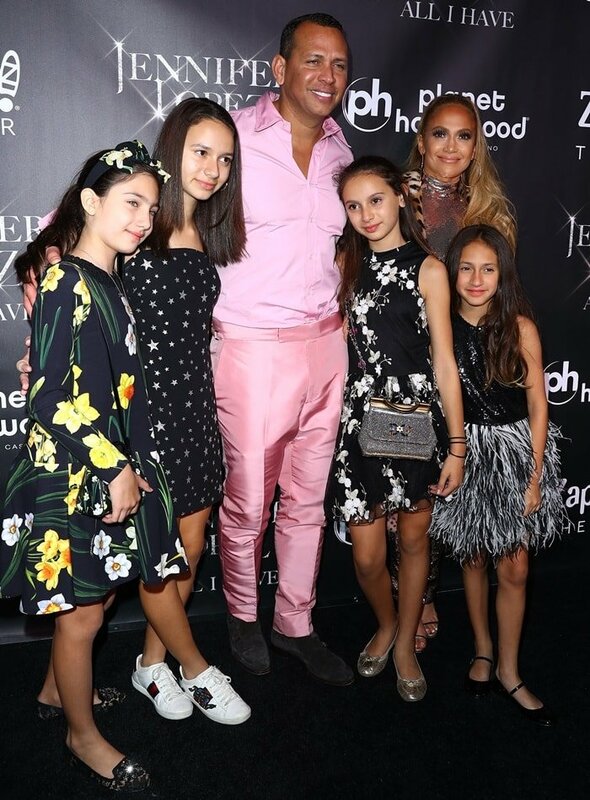 After the show, the 49-year-old superstar was joined on the red carpet by her beau Alex Rodriguez, her daughter Emme Maribel Muñiz, 10, niece Lucie Wren Lopez-Goldfried, 10, and Alex‘s daughters Natasha, 13 and Ella, 10. The after party was held at Mr Chow at Caesars Palace. The Jenny From the Block hitmaker flaunted her incredible figure in a skin-tight sequin jumpsuit from Tom Ford‘s Fall/Winter 2018 Collection. She finished off her outfit with gigantic hoop earrings and Giuseppe Zanotti’s celeb-favorite multi-strap Harmony sandals. These statement sandals feature three-straps, five-inch heels, and a back zipper. They come in a slew of colors including metallic silver and gold, black and white. 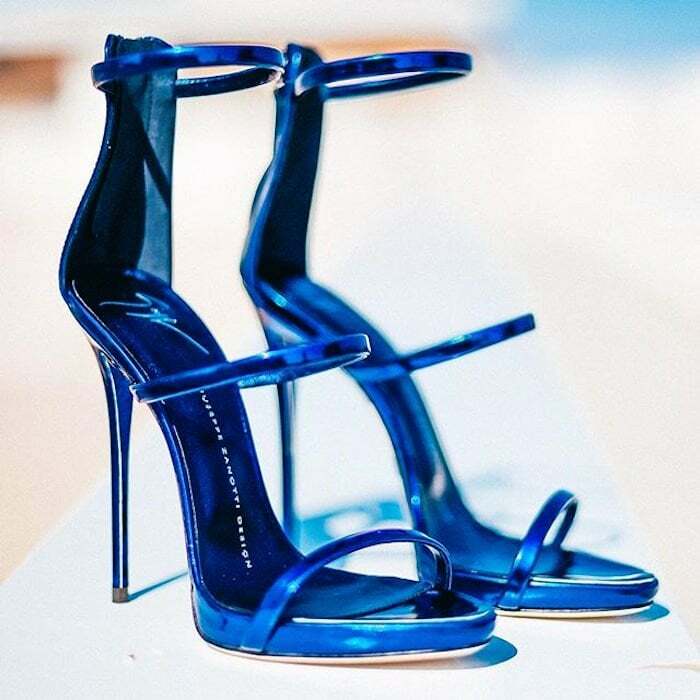 While the high-heeled shoes were only available in leather last season, the brand introduced the sandals in laminated fabric this season. They also introduced three new colors – black patent leather, blue and mirrored gold. You can expect to see this iconic pair of shoes to come in bold, new colors as part of the upcoming Fall Winter 2016 collection, including Electric Blue. If three straps aren’t enough for you, you will probably prefer the “Super Harmony” sandals. This pair ups the strap count by five, making it the ultimate pair of gladiators.